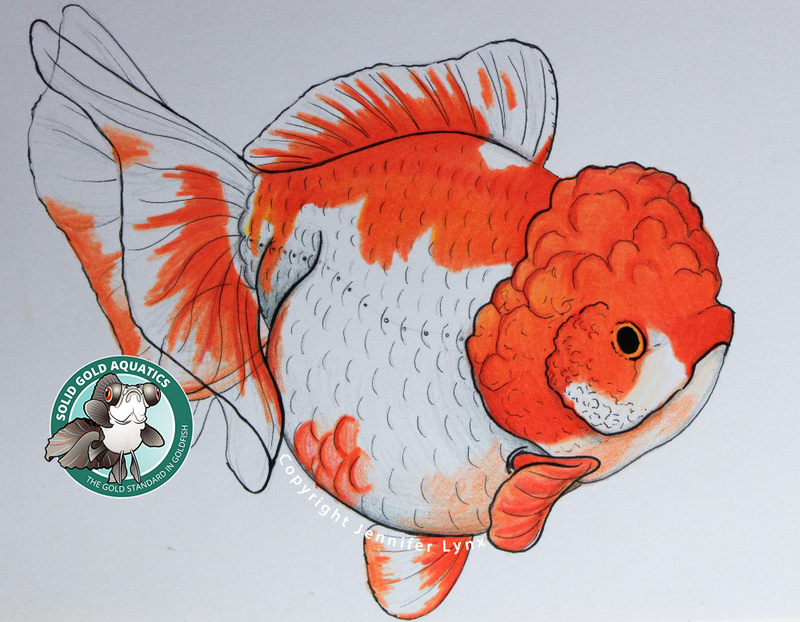 Custom Portrait of YOUR Fish! 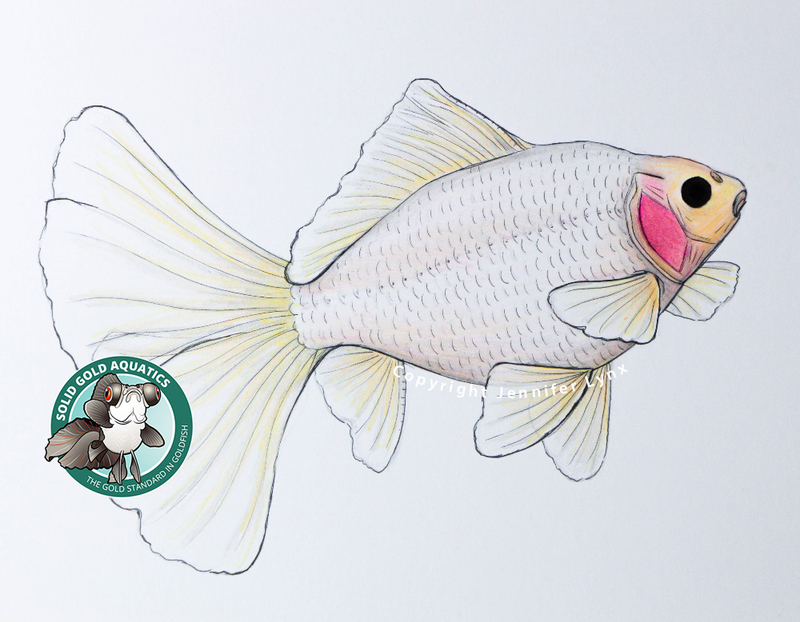 This one of a kind 8×10″ artwork is made just for you to resemble your own fish! 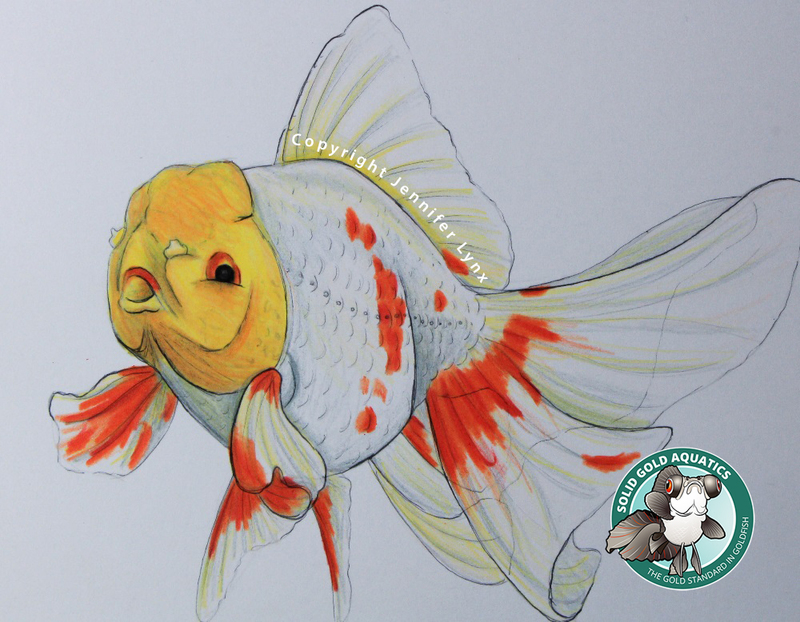 We all know what it’s like to have that extra special fish you want to remember forever. 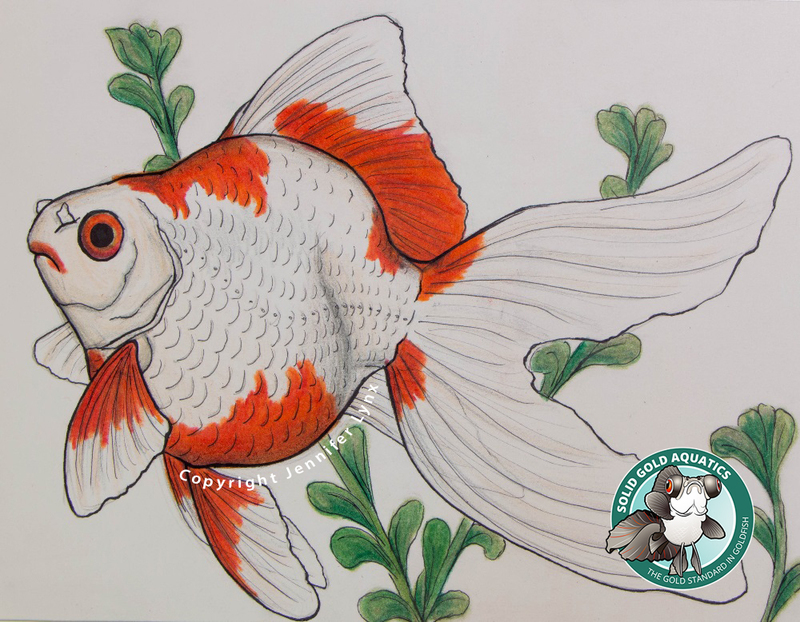 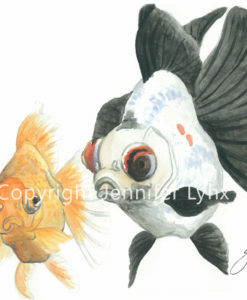 Drawn with high quality Faber-Castell Polychromos pencils on thick bristol paper and signed in the bottom corner by Jennie, you’re sure to love your custom goldfish artwork. 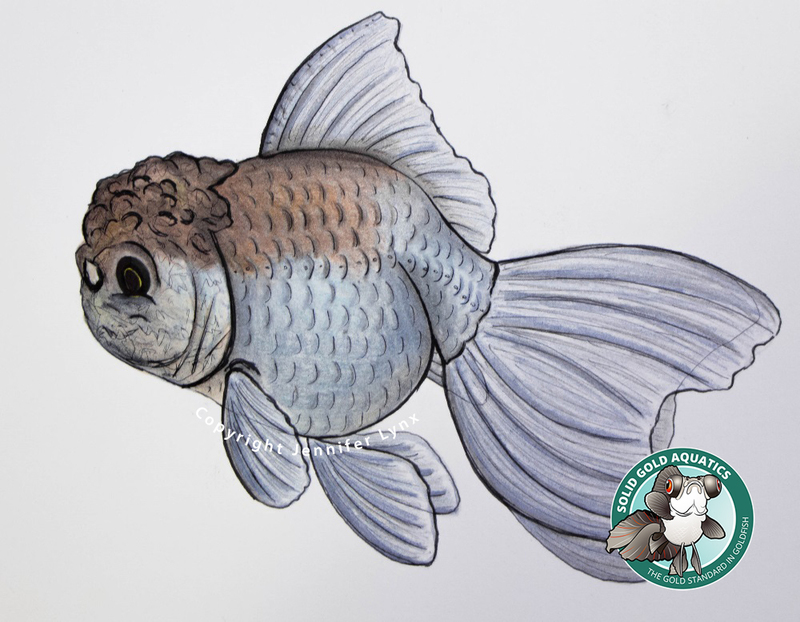 When you place your order, please email Jennie at solidgoldaquatics(dot)com with at least 2 high quality (clear, non-blurry and bright) photographs of the fish you want drawn. 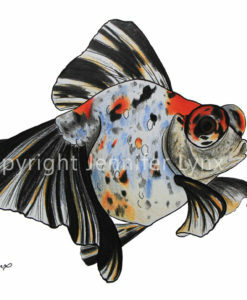 Jennie reserves the right to cancel a transaction if the photos provided are not clear enough to accurately portray your fish. 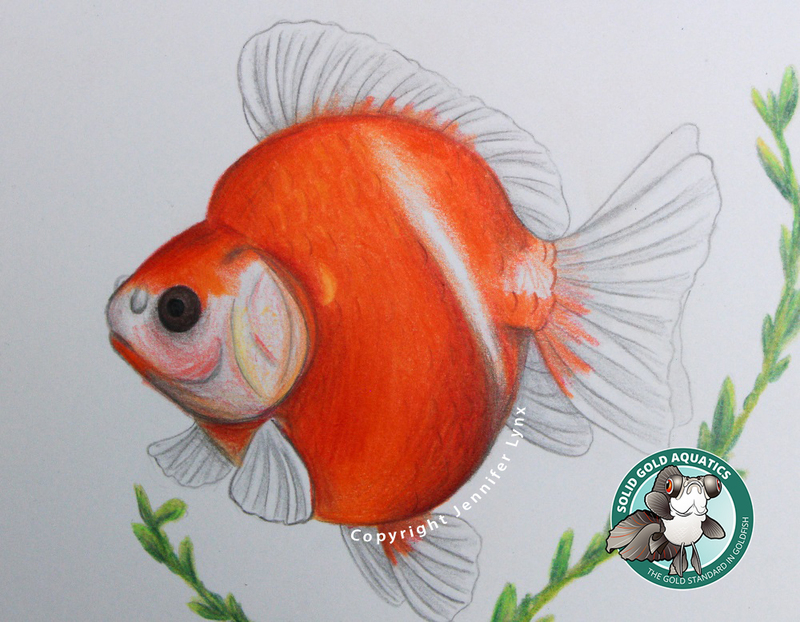 Please allow 1-3 weeks (excluding transit time) for your custom drawing to be made. 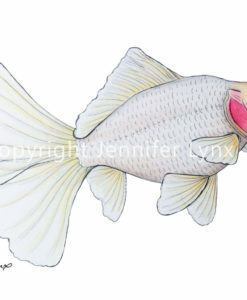 Please note: the example drawings shown are meant to serve as examples only. 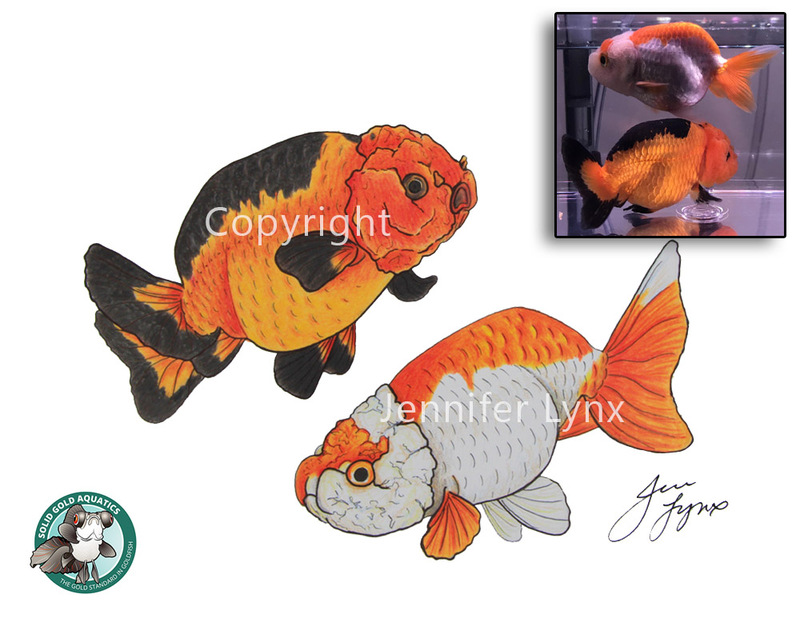 They were created uniquely for previous goldfish owners and are not for sale. 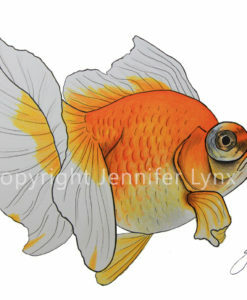 Your drawing will not contain the Solid Gold Aquatics watermark shown in the photos, but will be signed in the bottom corner by Jennie.